Python is a widely used high level programming language. It has emerged as a robust scripting language particularly useful for complex data analysis, statistics, data mining and analytics. It has found its application in automation which is another reason why it is the best choice for Algorithmic Trading. The beauty of this language lies in its simplicity and readable syntax. Any complex logic can be coded in fewer lines in Python when compared to other programming languages. In this tutorial series, we would go through the step by step method to implement algorithmic trading using python. The tutorial starts from very basics like python installation and down the line we’ll explore trading system development, backtesting, optimization etc. Note: This isn’t a Python tutorial from the scratch. but still we’ll try to make it as simple as possible so that newbies can follow. In order to learn python basics (which I recommend you should), please check out the below two courses at Udemy. I have taken both these courses myself, and it has helped me a lot in last few years. It will download the installation package automatically and continue installation. The installation will take few minutes depending on your internet speed. Below is the screenshot taken after installation completion. Note: If the installation fails download and install Microsoft Visual Studio C++ compiler from here. This completes your first step to learn Algorithmic Trading using Python! In the later part of this “Algorithmic Trading Using Python” tutorial series we’ll learn many other interesting stuffs. 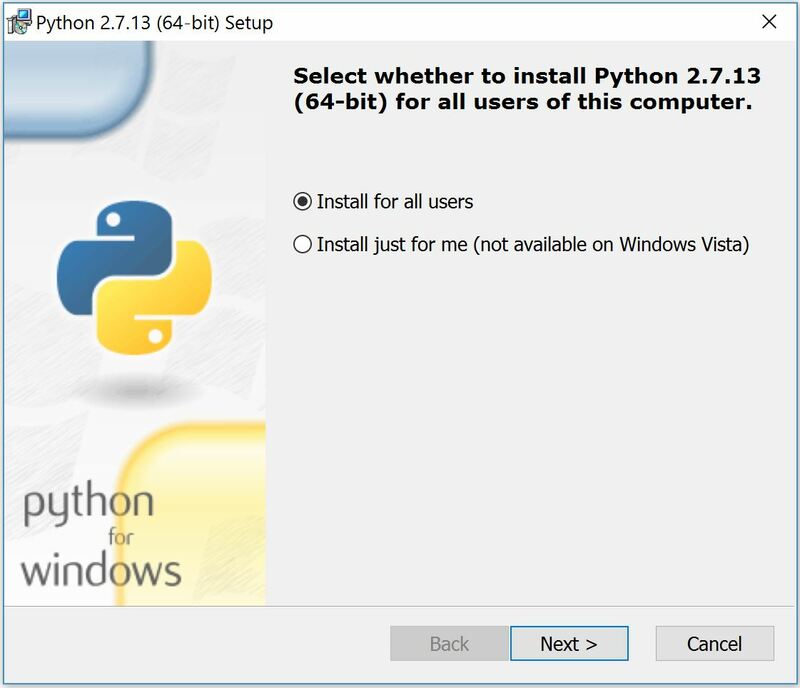 If you have followed this tutorial and installed Python in your machine successfully, then the most difficult part is over. Now just sit back and wait for our next article. Also, try to complete the Udemy courses we recommended earlier. I guess many of you must be curious to know why to learn Python when we have Amibroker and other full suite trading softwares. Well, the simplest explanation to this is, python is open source and totally free of cost. Also, it is flexible enough and there are hardly any limitations, which I guess is the major pain point associated with all other tools. Python can handle large data sets super efficiently, see it yourself later in this tutorial. 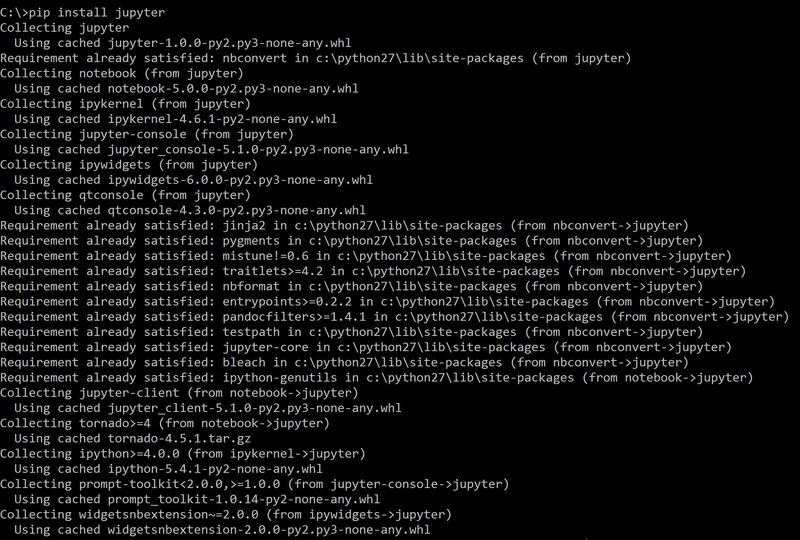 sir not able to install jupyter directly it says install anaconda so how to install via pip installer kindly guide. Can you please send the error message if any? Are there built in libraries for indicators and time frames? For example, is it possible to buy when CCI(14) crosses zero up and to sell when there is a 1% profit without even looking at indicators? Yes there are, we will cover that in our future tutorials. When is the next part going to be published? Sir, when is the next tutorial on this thread going to be published? This is really interesting topic. Sir, Starting from step 3 got stuck with. Unable to download the Jupyter and stating needed to download Anaconda 2 first and its heavy like 650 MB. Even tried downloading the same however getting failed in the middle. Unsure of what’s next, kindly help. Thanks!